There are several easy ways to make yourself some extra money via auction websites. One of the first ways is to start cleaning your house from top to bottom and finding all those things that have been collecting dust for years. At the same time as removing clutter and unused items from your house you’ll be working towards turning them into cash. Start by piling all these things into a corner and once your cleaning is finished you can start sorting and photographing the items ready for an listing on a site such as Ebay. Never before has spring cleaning been so profitable! You’ll also be helping the recycling effort, rather than going to waste your items can have a second life in the hands of another, which helps reduce the demand on the planets resources. And remember the old saying ‘one mans trash is another mans treasure’, so list everything! You may think it’s worthless junk but more than likely there will be someone out there that doesn’t and that means cash for you. Even the smallest items are worth listing, as the person who looks for that item may end up buying more from you, it’s a little like another old saying ‘activity breeds activity’. Once you have cleaned out the house and removed all the dust collecting items that have been cluttering your house for years you will not only enjoy the new-found space but will also have some extra cash! Now, with your new skills of selling items via auction sites you can visit thrift stores, secondhand markets and antique stores for items to sell. If you have a good eye, there are treasures to be had just about everywhere! Speaking of easy ways to make money using auction websites, make sure you keep your eye out for sales of all kinds. 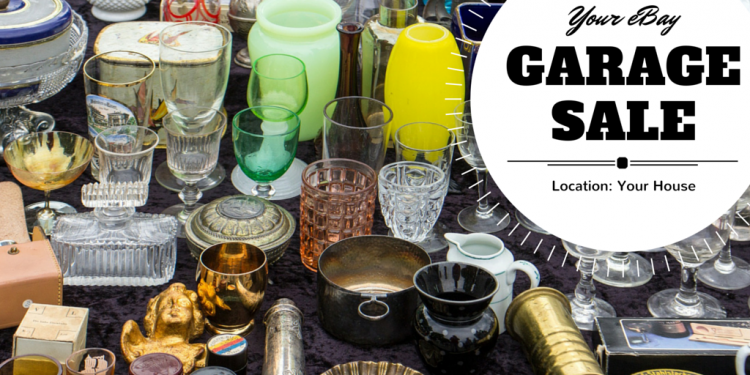 Garage sales are fantastic places to pick up potential treasures, as are closeout sales and liquidation sales in your local area. Also, make sure you keep an eye out for estate sales. By keeping up to date on where potential finds are and learning what people want, and what they are willing to pay, you’ll soon be enjoying making some extra money via online auction sites.